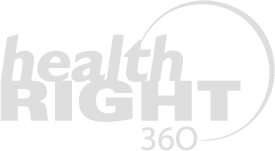 The Medical Assistant is a key member of the Clinic Care Team and as such, performs clinical and administrative tasks consistent with HealthRIGHT 360 policies and protocols. Duties include preparing treatment rooms, assisting physicians with examination materials, instruments and equipment, maintaining supply inventories, and performing laboratory tests including phlebotomy and providing case management follow-up with patients. The Serenity House Program Manager is responsible for overseeing and implementing program services, clinical activities and staffing. Through a gender responsive, trauma informed approach, the Program Manager engages in clinical work, milieu work, liaison work, supervisory work, and on-call work, in accordance with program compliance and licensing regulations. Additionally, the Program Manager will support and fill in for the Program Director as needed, and will model communication and clinical standards that are aligned with program values and beliefs.